MURDER, ancient gold coins and human remains. The townland of Aghalee may be small but its history is anything but. There are many tales to tell and the area's oldest resident Alfie Grant has had 95 years of memories to bring to mind and share. The Second World War, was a historic time for the whole of Europe but the casualties of war in Aghalee were not all infected by the enemy. "During the war, I worked out at the RAP air station at Aldergrove digging sewers and building foundations," recalled Alfie. "It was a dangerous place to work. Planes were flying everywhere and accidents happened. One man got his head taken off by a passing plane." The soldiers camped out at the Deer park on the Soldierstown Road and used it as their shooting range. At night they travelled to Clenaghan's public house, still in existence today, or to the village hall for a dance. It was early to 1942, When the first contingent of American GIs won, posted to the area, that a young village man was to lose his life. On the way he was stopped by a drunk GI who tried to take his bike and then beat him to death with his tin hat before cycling off." The soldier was accosted shortly after and sent back to the States. Local tradition, would have us believe that the walls of Aghalee Parish Church, built in 1666/67 by Lord Conway, were hiding a large quantity of ancient gold coins. Their description is unknown. And subsequently several human skulls were said to have been found in the Church recess, made specifically for that Purpose. The Church, situated in Soldierstown, also played an important role in education. The Old School Room built on the side of the church was a day school, solely maintained by the rector and after closure it was and still is used as a Sunday School. 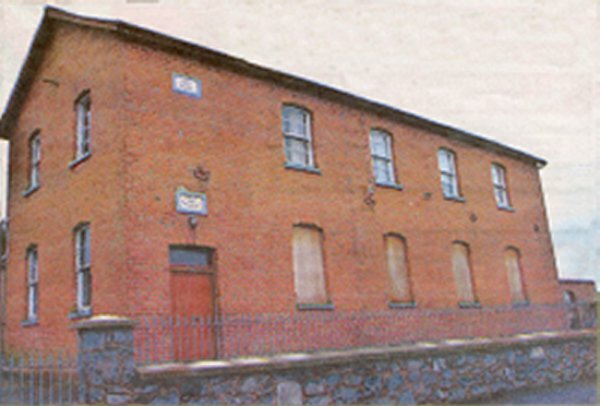 Aghagallon Victorian School (1897) and Soldierstown Primary (1922) have been closed since the seventies. 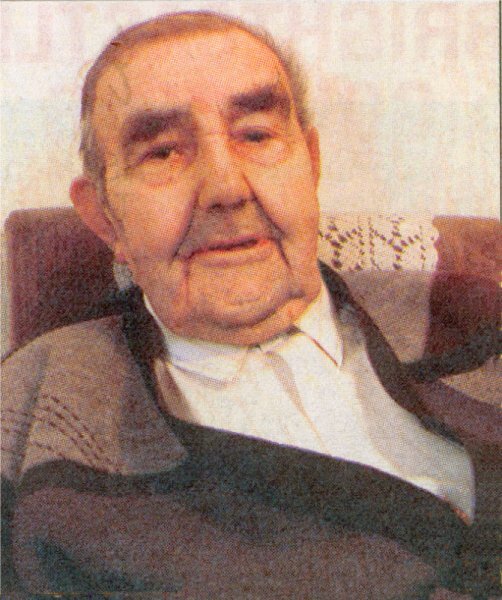 Alfie attended the Parish school, Derrymore Primary, until he was 14. "School was great," he said. "I loved going every day. It was nothing like it to now, the pupils bad a lot of respect for their teachers"
On leaving school most local people became weavers or farm hands. Alfie became the latter. "Most of the people were pig farmers. But there was hardly any work in the village," he said. A lot of people travelled outside to work. They had to if they didn't want to starve." The canal is no longer used as means of transport and has become a prime fishing haven. Until quite recent times Alfie and many of the community went to Montighs in Aghagallon to cut and prepare their own turf, while other Parishes could barely manage to pay for fuel for vendors. Now most of the bog land has been taken over by the DOE end turned into a conservation site and local people have found alternative, and less back breaking, methods of heating. 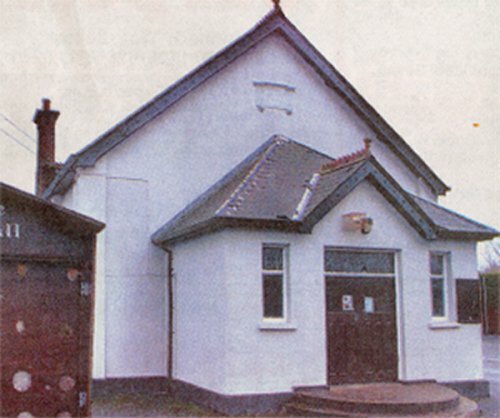 Although the social life in Aghalee was very quiet, Alfie was content with the occasional evenings at the Orange Hall. "I met more people there than anywhere else in my life. And I could have walked into any hall whether it was the Orange or the Hibernian lodge." He was also very happy sitting at home oralking around the village. Alfie said: "A country man couldn't be happier than when he's at home to Aghalee. 'The only thing I miss now is my old neighbours. They have all passed away: In today's wider world, murder may, alas, be more common - love is not. Gold is plentiful -wood is not and many bodies that have been buried are still waiting to be uncovered.